THE SKINNY: The ads for this face moisturizer are in nearly every beauty magazine these days. Sadly, this one is pretty meh. 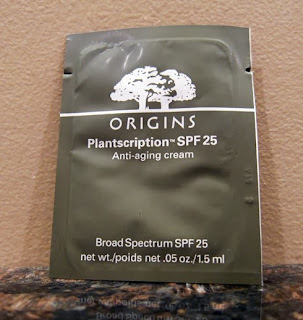 Plantscription Anti-Aging Cream is a thin moisturizer that did feel good on my skin. It has that same Origins look, though, the kind of off white, gritty looking texture. It's made with raspberry stem cells (who knew) that help fight wrinkles. I thought I was going to like the sample until the lotion make my face break out after a few days of use (and I'm not prone to breakouts). 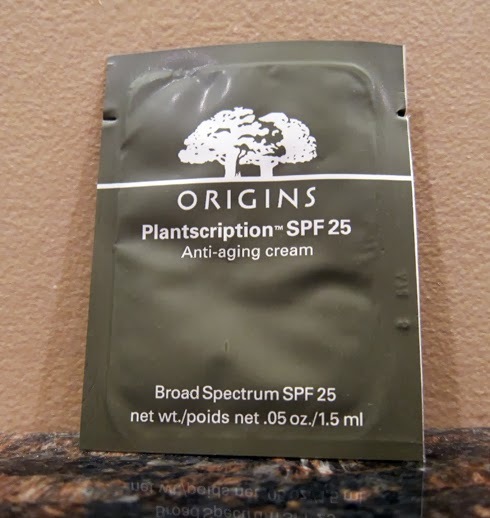 CHECK IT OUT: Planscrptions also comes in an eye cream and a serum.